Unfortunately for fans of this nameplate, the 2015 model looks like it will be the last. It appears the Compass and the Patriot are both being discontinued, with the all-new Fiat 500L-based Renegade and another, yet-to-be-announced model replacing them. Although the Compass may still be available as a ’16 offering, it’s almost certain to be a straight carryover. Should I wait to see what 2016 brings? Although the ultra-compact Renegade looks like it will be a great vehicle, there’s too much uncertainty for us to strongly recommend waiting. The Renegade isn’t a like-for-like replacement for the Compass in terms of size, and we don’t know what the other model will be just yet. Should I buy a 2015? While few are likely to shed too many tears about the demise of the Patriot, the ’15 Compass is actually a pretty good vehicle. It’s the best the nameplate has ever been, and if you can get a good deal on one as it is going out of production, you should give it serious consideration. The original offering was certainly an ugly duckling, but model-year 2015 has brought a stylish and attractive swan. It now looks like a miniature version of the all-conquering Grand Cherokee. Although the Renegade will gather a strong following with its quirky and funky styling, it will probably appeal to a slightly different customer than the Compass. 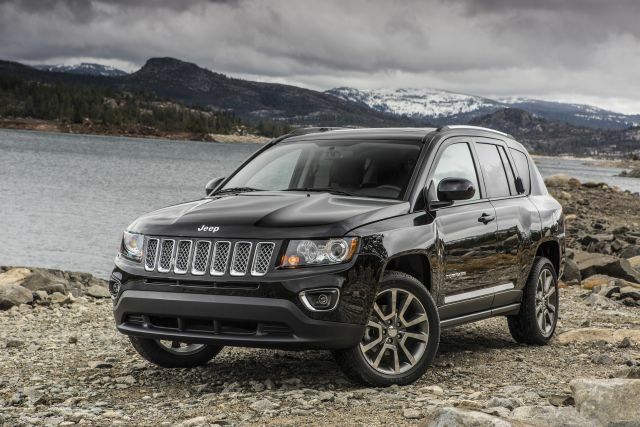 One of the worst things about this vehicle is its continually variable transmission (CVT), which is still there if you want the Jeep’s most-capable four-wheel drive system. However, you can now choose other variants with either a five-speed manual or a six-speed automatic, which are both infinitely preferable to the CVTs. Two engines are available: Base models come with a 158-horsepower, 2.0-liter four-cylinder “World Engine,” while higher-spec, Limited models have a 2.4-liter unit that delivers 172 horsepower. What is the fuel economy like? The base 2.0-liter models can deliver economy as good as 23 mpg in city and 30 mpg on the highway with the manual transmission. However, if you want the best off-road capability and you go for the 2.4-liter with CVT and the tough Freedom Drive II package, gas mileage drops to a very disappointing 20 mpg in the city and 23 mpg on the highway. 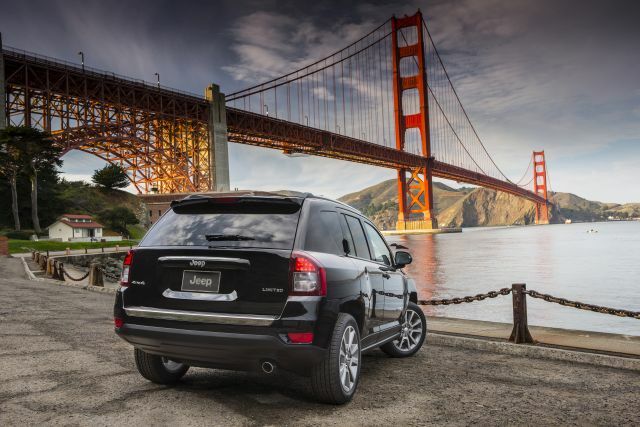 With this being an affordable five-passenger crossover SUV aimed at entry-level buyers, it’s the only Jeep model at the moment that doesn’t have full power accessories as standard on base models. Base models do get features such as 16-inch alloy wheels, fog lights, roof rails, air conditioning, a 60/40-split rear bench, a four-speaker stereo system and a standard household plug outlet as standard, but you will have to upgrade for such goodies as full-power accessories, larger wheels, a colored rear bumper, heated seats in the front, climate control, a 6.5-inch touchscreen console with GPS, tow hooks, winches and other items that some may see as necessities. The base, front-wheel drive Altitude edition starts at a very reasonable $19,990, but you can pay as much as $29,190 for the four-wheel drive Limited, even before adding further options. How much longer will it be available? If there is a 2016 version, we expect a release date sometime in the middle to end of ’15. What could have been done to improve the crossover? 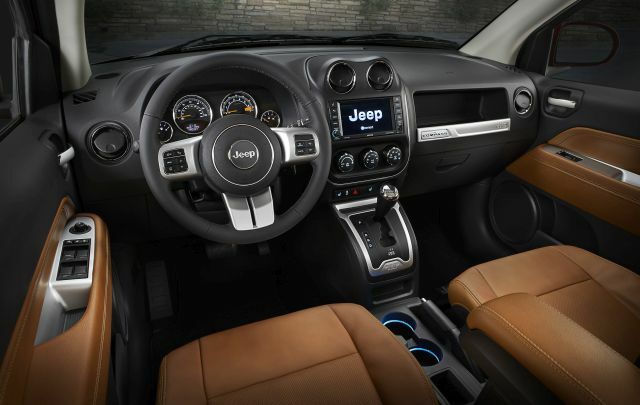 The ’15 offering has come a long way since the first version of this compact Jeep came to us in 2006 as an ’07 model year. Over that time, the Compass has become considerably more stylish and generally better all round. However, the fuel consumption is definitely not up to the levels today’s buyers expect. The confusing transmission combinations certainly didn’t do much to prolong this vehicle’s lifespan. But there’s little doubt that the Compass developed rather nicely over its relatively short run, and the Renegade isn’t really a direct replacement.